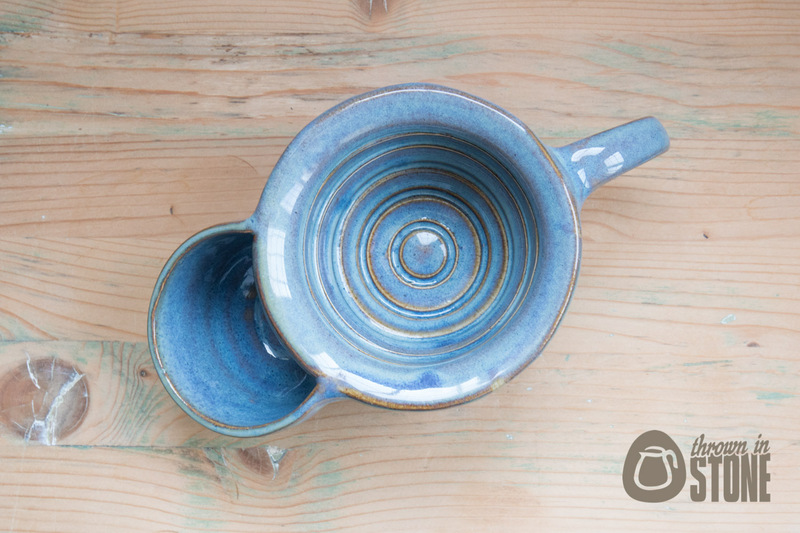 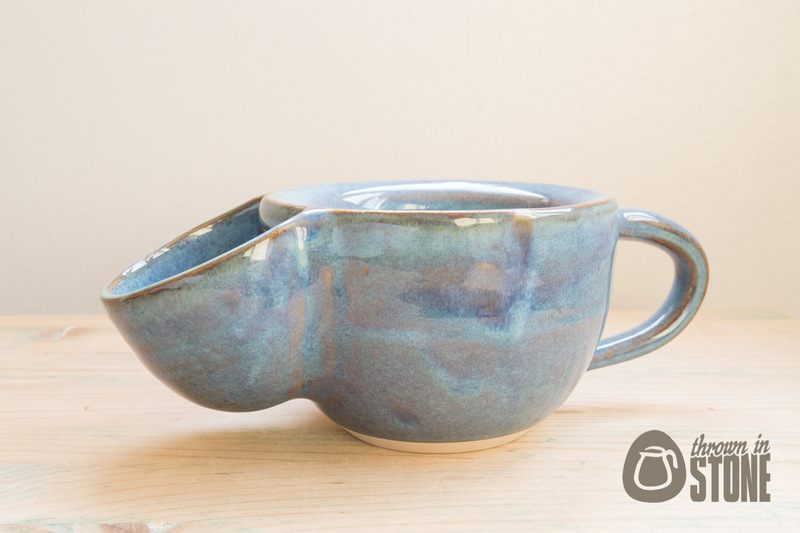 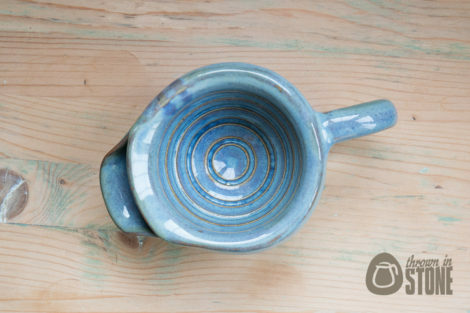 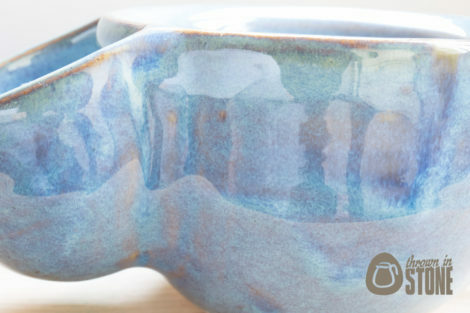 This shaving scuttle with large spout was hand thrown on my potters wheel using white stoneware clay and glazed in a gorgeous denim blue glaze. 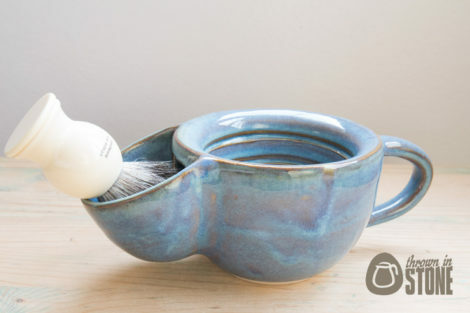 Fill the bottom reservoir with hot water and use the top bowl to whip up a thick warm lather with your favourite shaving soap ready for the perfect shave. 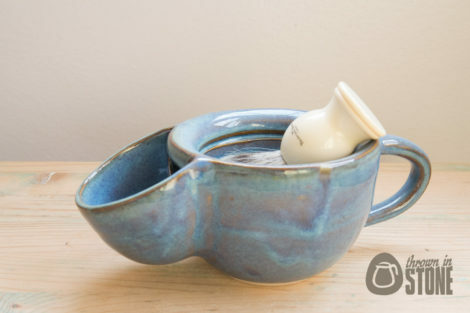 The top lather bowl is permanently attached to the cup to further retain the heat and to stop it falling off whilst shaving. The shaving cup has slight groves around the sides to help lather production.